It goes without saying that coding is one of the most incredibly marketable skills today. If you've always wanted to learn how to build websites and digital products, you can get ample training from The Complete Web Developer Course. This fully immersive learning package features over 30 hours of content to cover everything code. On top of getting you to grips with the fundamental programming languages like HTML5, CSS3, Python, and PHP, you'll also get hands-on training by building 25 different websites. You'll develop blogs and ecommerce sites, as well as a Twitter clone to put your newly-acquired knowledge into action. As a bonus, you'll also get free unlimited web hosting for one year. Just getting started? Take a look at our guide to the best web hosting 2019. 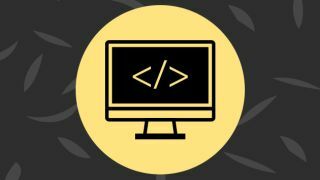 The Complete Web Developer Course can be yours today for only $11.99 – that's a 91 percent discount off the usual price.